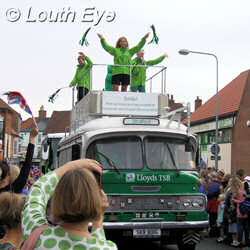 Considering the early hour there was quite a good turnout as the Olympic flame rolled into Louth as part of the Torch Relay. 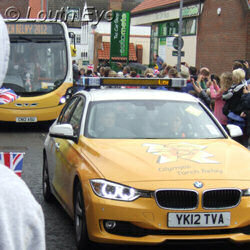 At 7.50 am it arrived at Grimsby Road and passed St James Church before proceeding into Upgate. 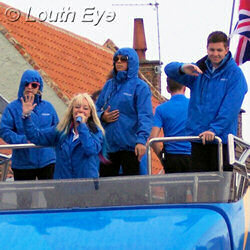 Then it left to tour Lincolnshire. 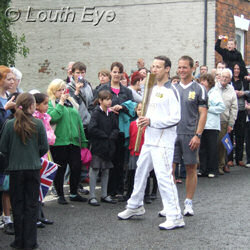 Torchbearers in our area were Chris Suich, James Roark, Michelle Brown, Stuart Mclachlan, and Timothy Pearson. 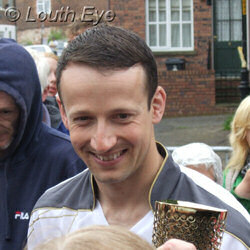 Chris Suich is the only one of those who comes from Louth, but other Ludensians carried the torch elsewhere. 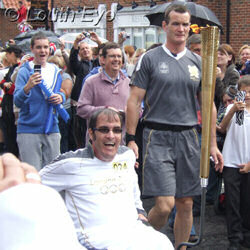 Alison King carried it through Skegness and cricketer Arran Brindle held it through Skegness. Security was high: police outriders, close protection people from the Met, and police cars meant that the torchbearers were visibly kept very safe. It was an overt message to anyone watching that Olympic security will be a priority. 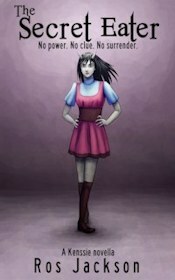 Coca Cola, Lloyds TSB and Samsung are the official sponsors of the London 2012 Olympics. 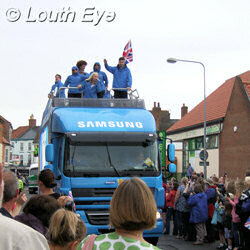 The relay seemed more like a giant advertising parade, as their huge lorries rolled along. I'm not sure what the makers of tooth-rotting drinks and couch-potato TVs think they have to do with elite sport, but someone has to pay for all of those shiny new facilities. 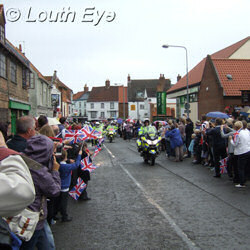 Runners from RAF Coningsby followed the Olympic torch. 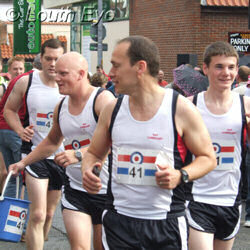 They were running 20 miles to raise money for Coningsby AllSports. 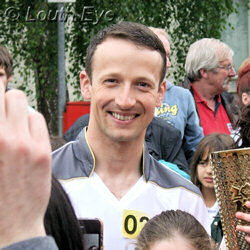 However they weren't the only ones who thought to take advantage of the large crowds in order to highlight a cause. 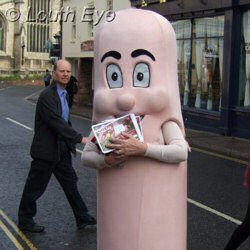 The Mayor, Jill Makinson-Sanders, made good her promise to dress as a sausage and handed out fliers to promote the town's pork products.